It only takes one bad choice to ruin a life and destroy a career. The bad choice is getting behind the wheel impaired by alcohol or drugs, even prescription drugs. I am a DUI defense attorney with years of experience with these cases. I have encountered many people in this situation. My goal is to win the case or lessen the punishment. However, after the case is finished other detrimental issues come into play. Arizona has established a blood-alcohol concentration (BAC) of .08 percent as the basis of this offense, whether or not the driver was impaired, even if parked or napping off the alcohol. For commercial drivers, the BAC is lowered to .05 percent. In regards to underage offenders, Arizona is a “zero tolerance” state. A DUI offense can be prosecuted as a misdemeanor or a felony depending on the BAC level, a previous DUI conviction, and if property damage or injury happened. Let’s examine the quality of life after a conviction. Driving under the influence (DUI) in Scottsdale, AZ punishments for repeat offenders are more severe and harsher still if harm or death occurred because of the defendant’s action. These laws require time in county jail, and in severe cases state prison time. Besides incarceration, significant fines can be assessed by the court, and the privilege to drive can be suspended or revoked. Those allowed to keep their driver’s licenses must deal with the ignition Interlock device (IID). The IID has a preset level of BAC and if you blow into it and your BAC is over the set limit, the car will not start, and the device will lock down the engine. If you are put on probation, you will then required to regularly report to a probation officer. If the terms of probation are violated, the offender will be returned to incarceration. Judges also can impose community service and mandatory alcohol and drug abuse education as a term of probation. With so much public attention these days on serious and deadly crashes involving alcohol-impaired motorists, state legislators, and judges are becoming less tolerant. The Centers for Disease Control reports that 29 percent of all traffic deaths in 2015 involved drunk drivers. A conviction follows a person throughout life. In some circumstances a DUI conviction in Scottsdale, AZ can be a reason to terminate employment and can make getting another job difficult, mainly if an employer requires a clean driving record to avoid insurance liability and increased premiums. A criminal record can prevent entering jobs that have areas of sensitivity and company work policies may eliminate these applicants. Auto insurance rates climb as Arizona state laws require motorists to carry insurance. Property owners and rental agencies have long been able to refuse convicted applicants to protect their own interests and the safety of their tenants thereby preventing the offender from living in a decent place in a suitable neighborhood; Government supported housing may then become your only option. The federal Housing and Urban Development (HUD) in April 2016 decreed that landlords who refused to rent to people who have criminal records were discriminatory. HUD considers drug-addicted offenders disabled, and landlords must rent to them. It is presently unclear if that policy will be reversed under the new administration. However, the federal Fair Housing Act doesn’t give criminal offenders a protected status, and in some cases, landlords can refuse to rent to them. A DUI defendant can be sued by the harmed parties in civil court and awarded damages for medical expenses and other associated costs such as pain and suffering and lost wages. If the offense that caused the crash was particularly egregious, punitive damages to punish and serve as an example to others could be awarded, and the amount can be significant. People who have professional licenses can lose their careers permanently or temporarily when their licenses to practice are revoked or suspended. Licensed professionals include teachers, doctors, nurses, dentists, physical therapists, veterinarians, pharmacists, pilots, accountants, stockbrokers, lawyers, police, firefighters, and commercial drivers. Professional licenses are revoked or suspended by professional boards that are staffed by members of the profession. They conduct hearings under administrative law, which has different rules and procedures than criminal and civil law. Defending a case at these hearings and appealing the ruling requires competent legal representation as in any court. A jury verdict, a guilty plea agreement, or a no contest plea is entered into Arizona state’s records system and can be researched by just about anyone. The Federal Credit Reporting Act allows agencies to conduct background checks for employers and allows even a criminal arrest to be reported for seven years. A conviction, however, stays on the record indefinitely. The Civil Rights Act of 1964, which conflicts with the law in some states, forbids employers from rejecting an applicant with a criminal record unless they have a compelling business reason to do so. The reputation and image of an organization can be compelling reasons. Employers in Arizona can lawfully turn away applicants who have a DUI arrest, even a misdemeanor conviction. In 2017 however, Gov. Doug Ducey, through an executive order directed personnel officials to eliminate any questions about an applicant’s criminal record on state job applications. Known as “ban the box,” this directive does not apply to private employers. A DUI conviction in Scottsdale, AZ can indirectly harm a person’s credit score. The loss of employment income is a significant factor. So is failing to pay court-mandated fines or restitution. If not paid, the courts notify collection agencies and they then forward the delinquency to the various credit reporting bureaus resulting in a lower credit score and decreased financial stability. On a personal level, the conviction and its consequences cause stress and have the potential of damaging a relationship, ending a marriage, losing the respect of family, friends, and neighbors, and the offender’s reputation in the community is tarnished. A person who is prominent in the community can expect the strain and humiliation of negative coverage in the press and on social media. A person can also experience depression, anger, embarrassment, loss of hope, and fall into a spiral of more alcohol or substance abuse, clearing the path to become a repeat offender. The slide down this post-conviction path, in certain situations, may be mitigated or avoided with a strong DUI defense. Drivers who are pulled over because of an officer’s reasonable suspicion of impairment should not offer to convict themselves when asked if they’ve been drinking or have a medical marijuana license. My advice is don’t answer questions. The Fifth Amendment to the U.S. Constitution affords the right to remain silent to avoid self-incrimination. Law enforcement is well-aware of this. Be respectful and reserve the right to an attorney. That is because anything you say becomes state’s evidence and will damage your defense. If you don’t know of an experienced criminal defense lawyer in Scottsdale, AZ, promptly contact your county bar association for listings of qualified DUI defense attorneys. People who can’t afford an attorney should contact the county’s public defender’s office. Either way, be sure you have legal representation in place and an attorney by your side at the arraignment to guard your constitutional rights and avoid pitfalls. Depending on the circumstances of your case, an attorney can represent you in court without your presence. When possible, acting on your behalf in the courtroom allows you to continue to go to your job and maintain the confidence that you have someone on your side working for the best possible outcome. 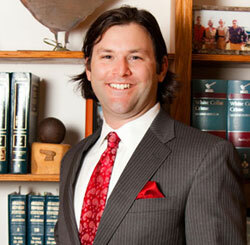 The Law Office of Aaron Black’s primary focus is DUI Defense. Representing clients in all Arizona City, State, and Federal Courts and I personally defend every one of my clients. I have personally logged thousands of hours in the courtroom obtaining favorable results for my clients. Many of my clients' cases result in dismissals, not guilty verdicts, no jail time, or substantially reduced charges. If you or someone you know have been charged with a DUI in Scottsdale, AZ, contact the Law Office of Aaron Black or call 480-729-1683 for a free consultation.